Well, with a few days off over the hol­days, I’ve got­ten the 305 Dream to the point where I don’t believe there is any­thing unsal­vagable here, and it won’t take an exor­bi­tant amount of mon­ey to put this thing back on the road in nice shape. 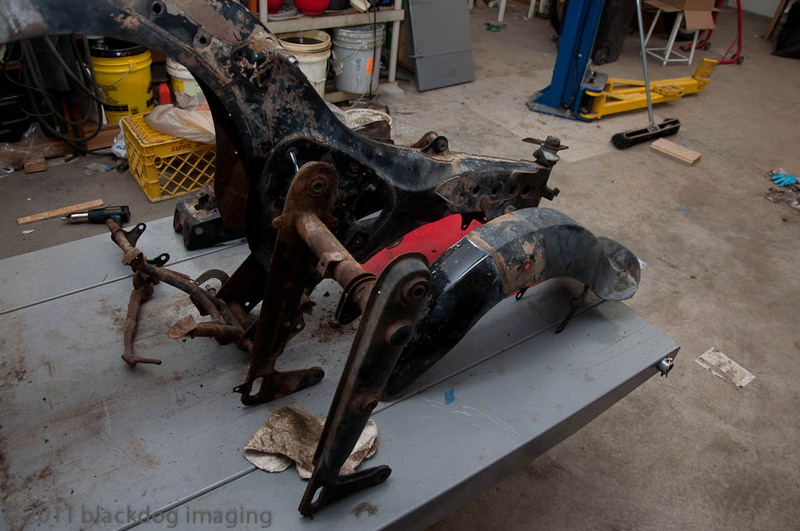 The last few hours of work have been to get the frame stripped of all oth­er parts, so I can start clean­ing it and get­ting it ready for blast­ing and paint. Here’s the parts that will be going out for paint, plus the tank, once it’s clean inside. I have a large list of parts I need (sent off to cyclepsy­cho to see what he might have), and a cou­ple of unsolved prob­lems. 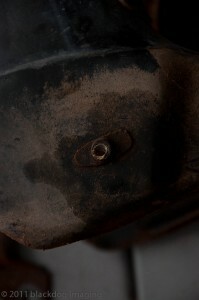 I am as yet, unable to remove the steer­ing head nut from the top of the stem. I think I man­aged to move it with a pipewrench, so I gave it anoth­er soak­ing in Kroil and will try again lat­er. I still have one pis­ton with the rings firm­ly stuck in their grooves. and last­ly, I broke off a screw in the bot­tom of the fork (it holds a chrome cov­er in place over the front swing­ing arm and shock). I then tried to drill it out, but the drill wan­dered off course, so now I have a hole through the screw at an angle, and it goes through the threads part­way down. Grrrr… I’ll have to spend some qual­i­ty time with the dremel tool and see how bad off the threads are when I’m done. the screw that got the best of me that day. But over­all, pret­ty smooth­ly so far. 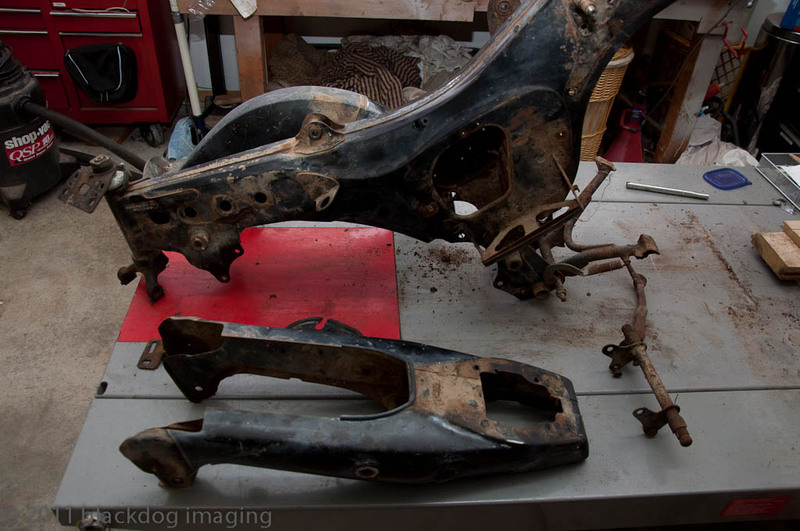 at this point, it’s about get­ting the frame and paint­ed parts cleaned and repaint­ed, clean­ing out the bot­tom end of the motor, hav­ing the cylin­ders honed (bored if they don’t clean up well at std. size), and the start clean­ing and re-assem­bling. mean­while, it all waits in a tidy pile. More pics lat­er. 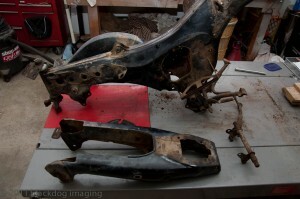 This entry was posted in Projects and tagged honda dream on December 30, 2011 by Jim Harriger.